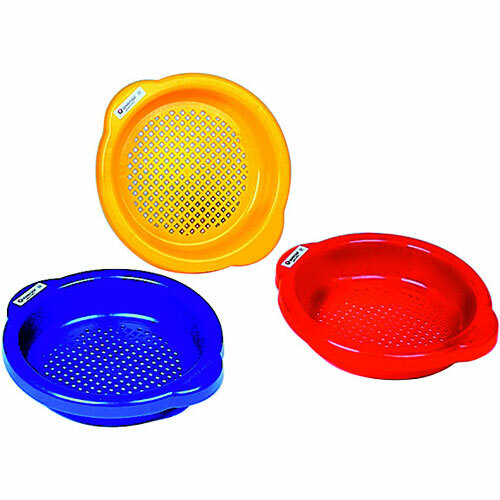 This sand sieve is great for kids to search for treasures in the fine or coarse sand! Easy to grab handles! PVC Free. Measures approximately: 6.10 x 6.89 x 1.38 inches..